PGA TOUR players seek rest and recreation on Sea Island when they’re not on the green. 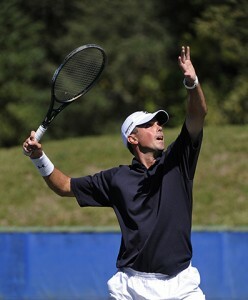 It’s no surprise that more PGA TOUR pros live and train on Sea Island than any other golf destination in the country. The resort’s world-class golf club is right on the gorgeous coast, and the surrounding terrain and climate afford golfers a place for both rest and recreation. So when they stash their clubs and step away from the course, many of them choose to spend their free time on the island as well. Big names like Matt Kuchar, Chris Kirk, Brian Harman and Harris English can commonly be found around the resort, relaxing and spending time with those they love most. A pro since 2007 with two PGA TOUR wins, Kirk understands the value of being able to spend the day without making a schedule. 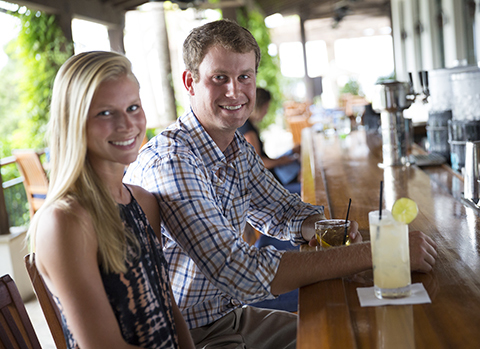 When he goes off the radar, Sea Island is his favorite locale to get away from it all. Taking a cue from Davis Love III, a personal friend, the Atlanta native enjoys the view from a paddleboard to clear his mind and stay in shape while not on tour. A pro since 2009 and a Savannah native, Harman also feels right at home on the water at Sea Island. Instead of paddleboarding, he prefers to be in a boat with his brother and father while the three fish in the waters off the Georgia coast. 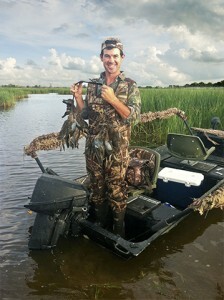 Whether hunting quail or fishing, Brian Harman enjoys being on the water at Sea Island. The activities are endless at Sea Island, where golfers can shed their woods, wedges and putters for fun off the course. If rest is on the schedule, many may consider a day at the Beach Club or lying by a pool. English, a pro since 2011 with two tour wins, is quick to explain that his favorite Sea Island activity off the fairway is mastering the art of relaxation.